Bromeliad are low growing or upright, compact plants with leaves arranged in a circular pattern. 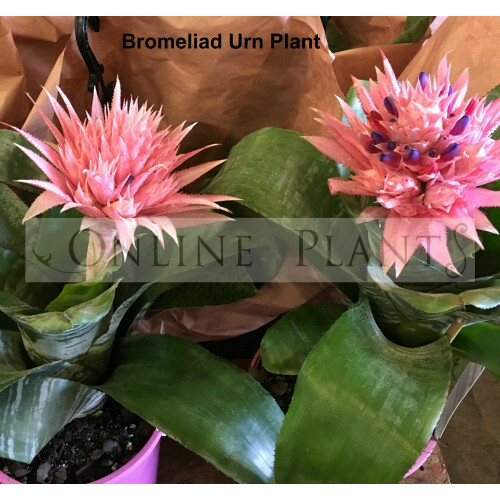 Bromeliads come in a range of colours with plain, banded, spotted, striped or marbling foliage that give a lush, tropical feel to the landscape. Many of these species form a water holding cup out of central leaves in the center of the plant that collects water and decaying debris to satisfy the plant’s nutritional needs. Bromeliad's can be planted in the ground, in pots and epiphytic varieties can be attached to trees & logs in subtropical & tropical climates. Grow to 60cm tall and wide and grows best in full sun or part shade.